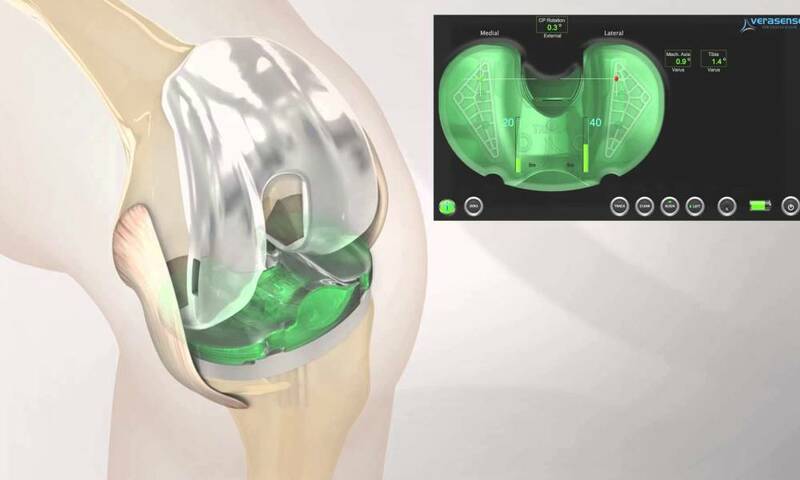 OrthoSensor, Inc., a leader in sensor-assisted technology for total knee replacement (TKR), announced it has received 510(K) clearance from the U.S. Food and Drug Administration (FDA) for its VERASENSE* Sensor-Assisted Technology (VERASENSE) to be used with Zimmer Biomet’s Persona Knee System for total knee replacement. VERASENSE harnesses the latest innovations in sensors and wireless communications for primary and revision total knee replacement (TKR) during surgery, with the goals of improving patient outcomes and satisfaction. Historically, roughly one in every five TKR patients (~20%) is dissatisfied with the results of their surgery. Common patient complaints include persistent pain, instability, stiffness, and loss in range of motion. Before VERASENSE; surgeons generally relied on their “best judgment” in determining what “felt” like a balanced knee. The subjectivity of total knee replacement, coupled with improper soft tissue balance and implant position, may result in premature implant failure and the need for revision surgery in the future. In a prospective multi-center study, VERASENSE use was proven to reduce post-operative pain, accelerate patient activity levels, improve functional outcomes, and increase patient satisfaction scores with high statistical significance. In fact, 98 percent of patients whose knees were balanced using VERASENSE reported they were satisfied to very satisfied at three years post-op. These proven results point to improved joint balance being the key to higher TKR satisfaction. OrthoSensor, Inc., a leader in Sensor-Assisted Total Knee Arthroplasty, develops and commercializes intelligent orthopedic devices and data services that provide quantitative feedback to surgeons and hospitals. The company’s intelligent orthopaedic devices utilize advanced proprietary sensor and communications technologies, coupled with the company’s innovative software products, to facilitate evidence-based decisions in orthopaedic surgery – with the goal of improving patient outcomes and potentially reducing the cost of treating musculoskeletal disease.